Croatia, limited to the coast and some islands in the Adriatic Sea. 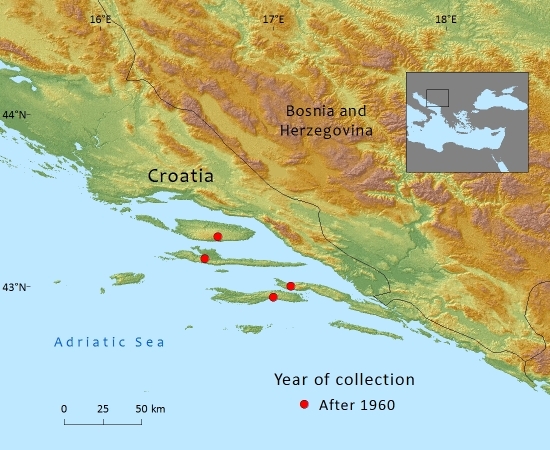 Vidacović (1991) mentions it on the islands of Brač‎, Hvar and Korčula, and on the Pelješac Peninsula. This subspecies occurs on rocky coast and offshore islands in poor soil. It only attains modest stature not exceeding 15m probably due to its poor environment and exposure to wind from the sea. 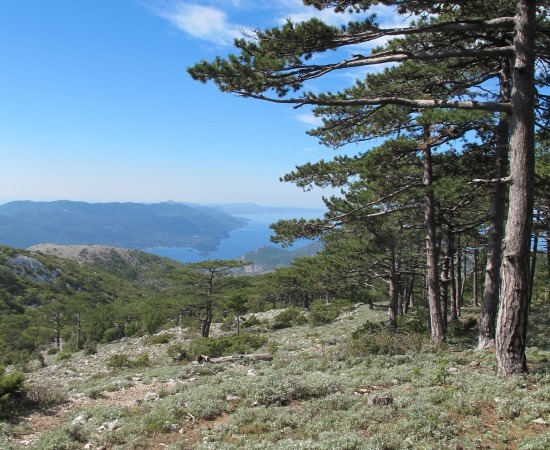 It grows generally at higher altitude than Pinus halepensis, which is more strictly coastal. 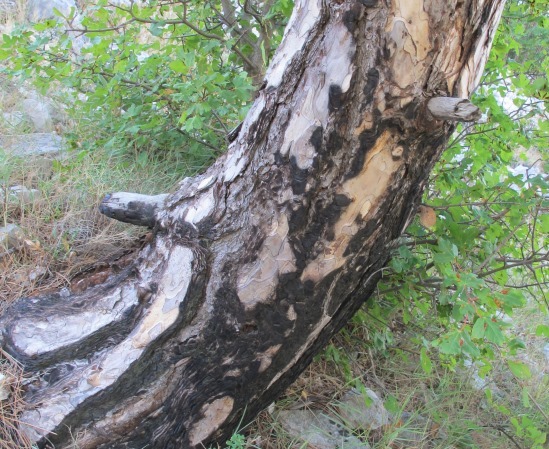 This is not a timber tree due to its small stature and often poor shape from a forester’s point of view. 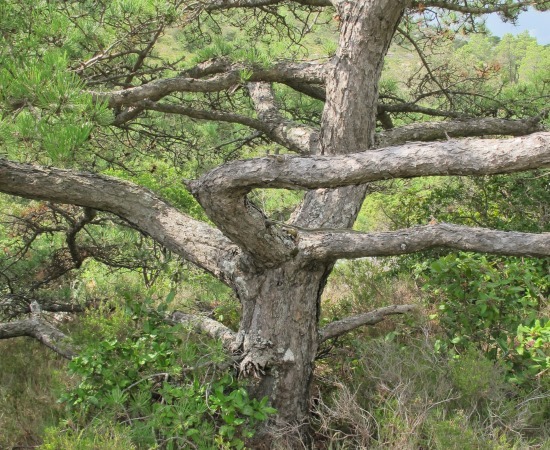 This taxon occurs on three Croatian islands, none larger than 300km² and a peninsula of similar size. Within these, the stands are again limited, with four locations known on the southernmost island. From this (for lack of herbarium data) it is estimated that both EOO and AOO (and especially the latter) will fall well within the thresholds for Endangered. Decline is continuing because feral goats are still abundant and the habitat is degrading further. Has a limited distribution along the coast and on some islands in the Adriatic Sea and is mainly threatened by habitat degradation. Many areas are seriously overgrazed especially by goats, preventing regeneration. No specific conservation actions have been recorded for this subspecies although problems with feral goats requires some action. Farjon, A. (2013). 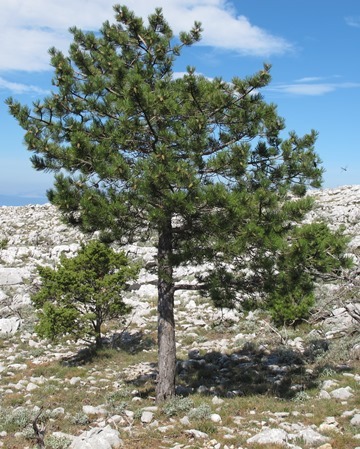 Pinus nigra ssp. dalmatica. In: IUCN 2013. IUCN Red List of Threatened Species. Version 2013.1. <www.iucnredlist.org>. Downloaded on 13 July 2013.  Societatis Botanicorum Polaniae 71(2) 141-147. A.Farjon, 2016. 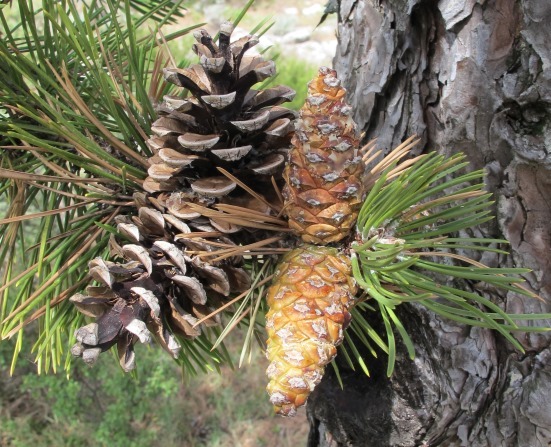 Pinus nigra subsp. dalmatica, from the website, Threatened Conifers of The World (http://threatenedconifers.rbge.org.uk/taxa/details/1072).